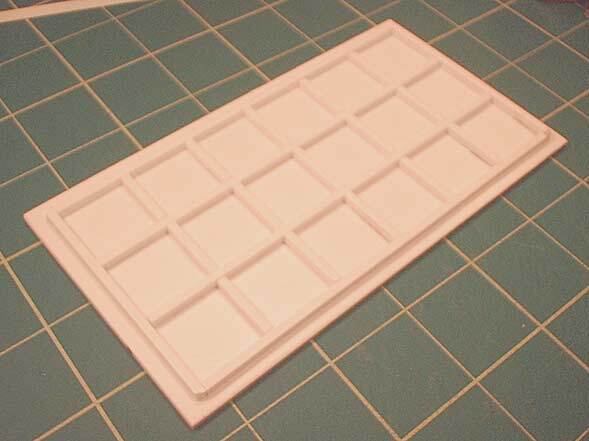 Here I will share some of my experiences of making movement and display trays for figures. Note that I deliberately included the word “display“– because I am not as much interested in gaming as I am in collecting, and also because the same modeling principles apply for both gaming and display purposes. Making a good-looking movement tray is ridiculously simple. As with banners, all we need is styrene plasticard, a steel ruler, a Sharpie marker, green paint (preferably spray paint), sand, flock, and regular acrylic paints. 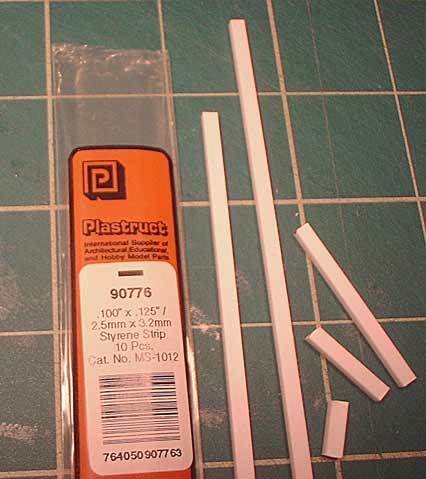 I use two kinds of styrene plasticard for this project: the first is Plastruct # 91107, which is thicker than the plasticard I use for banners, since it should not bend and be strong to support troops, whether plastic or metal. The size of the movement tray you want depends on you and your preferences. I opted for 6 figures wide by 3 figures deep for my swordsmen. I put my swordsmen on the base (before I cut it out, so I put them on the sheet that came in the package) and put the plasticard strips between them to create some more space between the figures. The reason I did this was to create some more space between figures to allow for better ranking up. Additionally, I like it more visually – the figures are not as crammed into the tray and the resulting space creates a greater feeling of individuality and movement. Once I put all 6 swordsmen on the base and interspersed them with plasticard strips, I measured the resulting frontage and repeated the same process for tray depth. Once I knew the full dimensions of the base (53/4 x 31/8 inches), I cut out the base using the steel ruler and a hobby knife. I then used a standard Warhammer infantry base as a measurement guide and glued the plasticard strips into place, creating spaces for 6-figure front and 3-figure depth. 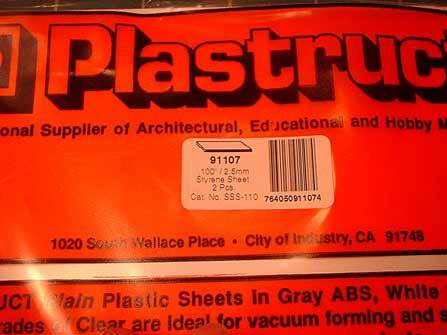 I use the standard Testor’s plastic cement, which can be seen in one of the pictures in the banners article. 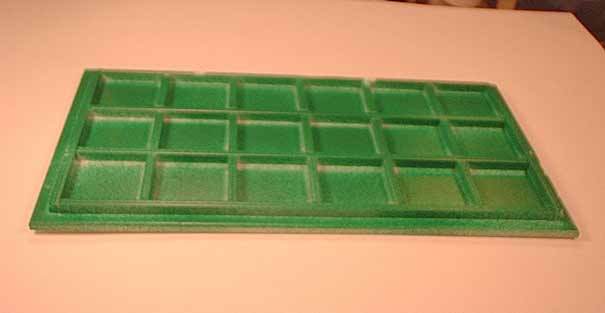 The next step is to spray paint the new tray green, using the Krylon Green Paint. 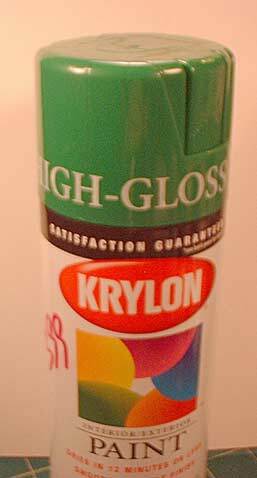 I generally do not like Krylon, but this product seems to work miracles. It is great “wargaming” green (very similar in color to Snot Green) and it covers the target in nice smooth layers, which look very professional when dry and provide a durable and sturdy surface. I then put a layer of Elmer’s glue on the outside edges, borders and intersecting strips of the tray and dipped it into a container with fine sand. Be careful at this point, to make sure that no sand ends up being glued obstructing the spaces for the infantry bases. Again, those of you who will decide to bypass this and make a regular movement tray without intersecting strips, will have an easier time, since all you have to deal with is the edges of the tray. At this point, the movement tray is essentially ready. After the glue dried, I gave everything a couple of more coats of Krylon green paint – it provides additional bond for the sand and serves as an excellent base coat. This is the comlpeted movement tray, with shadows, highlights, and flock added. I added regular green flock, which I highlighted with yellow to represent last year's grass. This is the first part of three.